Accident investigators in New Zealand report on damage to the flying controls of a 737 due to a trapped cleaning cloth. During routine maintenance of a Boeing 737-838, engineers found metal filings next to the stabilizer trim cable drum in the forward electronics and equipment compartment (located underneath the flight deck). 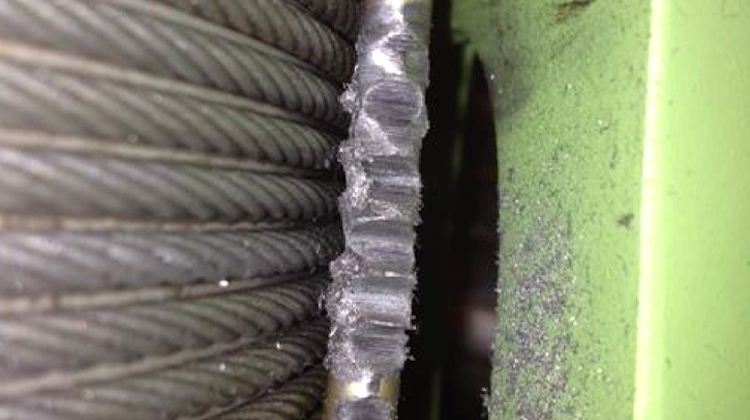 While investigating further they found what they described as a cleaning ‘rag’ had been trapped in the windings on the forward cable drum. 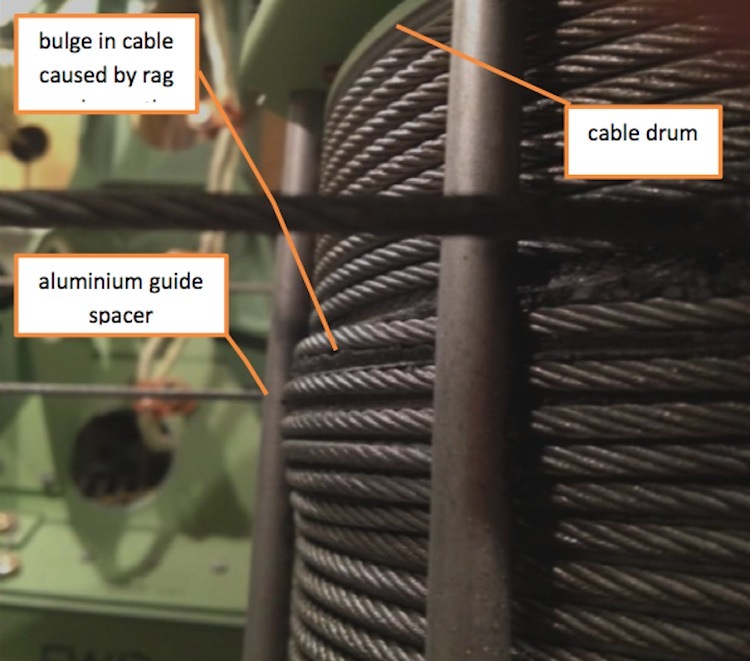 This foreign object had caused the stainless steel cable to bulge outward, contact the softer aluminium cable guides and the resulting wear had created the metal filings. In places the cables had worn right through the tubular aluminium spacer and had started to wear through the harder steel bolts that run through the spacers. The rag also resulted in increased cable tension, damaging a number of the cable pulleys between the front and rear drums. This occurrence was detected on 7 June 2013 on a B737 operated by New Zealand airline Jetconnect, a Qantas subsidiary, at Auckland International Airport. It was investigated by New Zealand’s Transport Accident Investigation Commission (TAIC). In their investigation report, issued in March 2015, TAIC state, based on lab tests of the material, that it was “highly likely” the debris originated from the Qantas Sydney maintenance hangar. The ‘rag’ was actually a cellulosic or paper-based fibre and polypropylene material, consistent with one of the disposable tear-off paper roll products used at Sydney. 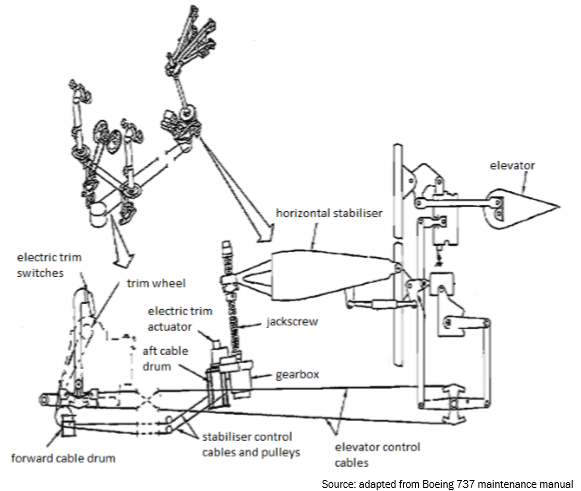 The integrity of the aeroplane’s stabiliser trim system manual control was compromised. Whilst considered unlikely, there was the potential for the stabiliser trim system manual control to become jammed or at worst disabled if a cable severed. On 11 September 2013 a Jetconnect B737-838, registration ZK-ZQC, was involved in an incident that occurred during a flight to Wellington. The aeroplane had departed from Melbourne, where it had recently had maintenance carried out on the landing gear. After departing Melbourne the flight crew had difficulty raising the right main landing gear. The right main landing gear initially retracted but did not stay up, falling back down once the gear selector was moved to the off position. When the crew reselected the gear lever to the up position, the right main gear retracted and stayed up. After the aeroplane landed at Wellington the ground engineers inspected the landing gear and found a rag wrapped around the right main landing gear uplock assembly. 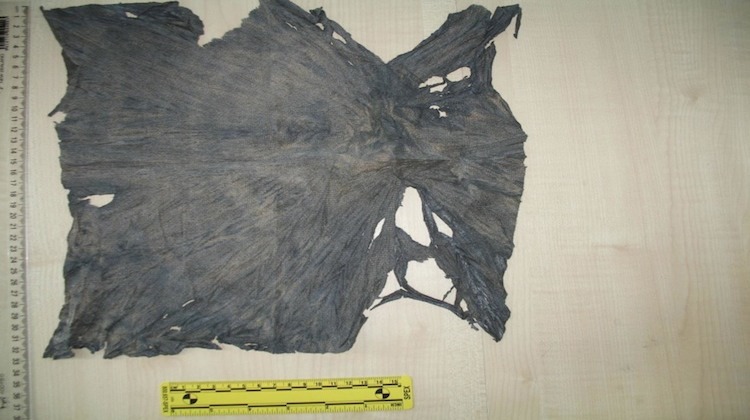 Qantas… conducted a safety investigation into the second incident, which found that the rag had been used by an engineer to protect against an accidental head strike on the uplock during a maintenance task in the right main wheel well area. The rag was subsequently left on the uplock assembly after the maintenance task was completed, and it interfered with the retraction of the right main landing gear during the next flight. … all personnel must take care not to leave anything behind inside an aircraft after completing maintenance or cleaning tasks, especially in areas or near systems critical to flight safety. This incident does demonstrate that in addition to control of tools other items, such small components, reels of lock wire and consumables, also need to be controlled. One such case involved a bearing element from a roller bearing that jammed a Power Control Unit (PCU) on a Turkish B737-400 in 2009. The landing gear incident, which is unlikely to have happened with paper based wipe, illustrates the downside of fabric cloth / rags. Aerossurance has previously written about Professor James Reason’s 12 Principles of Error Management. 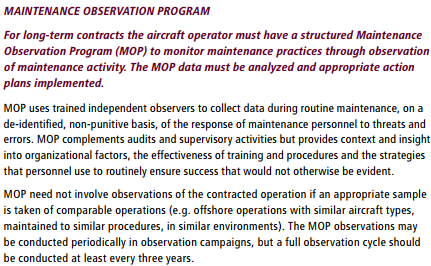 Aerossurance can provide practice guidance and specialist support to successfully implement a MOP.